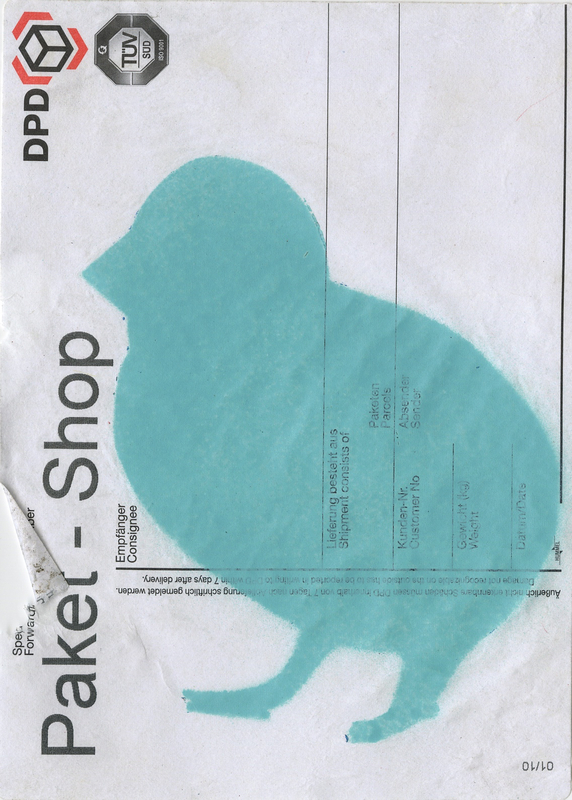 This sticker features a bird figure on a German postal blank and is made by the artist STRAX. His signature bird figure appears on many of his works, often with variations such as antlers, ears, wings, etc. added to the bird.